Of course the law won. The law always wins. For the Azorius, there is no phrase sweeter, no sentiment more precious, and no rule more golden than the strict adherence to the hieromantic power they hold over Ravnica. As Ravnica Allengiance approaches, the Senate has convened with the newly-instated guildmaster Dovin Baan to write a slew of new bills to tighten their grip on the city. Your forced cooperation is greatly appreciated. 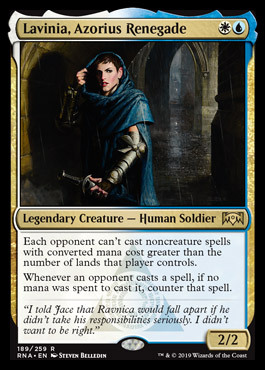 Let’s see what new legislation the Azorius Senate will enact in Ravnica Allegiance! Let us begin by praising the leadership of the newest Guildmaster, Dovin, Grand Arbiter. 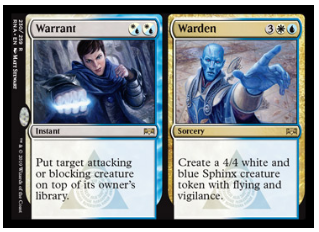 Many blue-white planeswalkers of days past have offered a more controlling presence on the battlefield; Teferi, Hero of Dominaria, Narset Transcendent, and even the original Dovin Baan all helped establish control and card advantage for Counterspell-heavy decks. 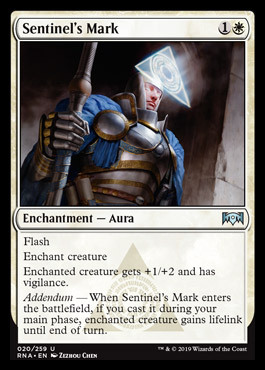 However, our newest Grand Arbiter represents a new direction for the Senate, much more along the lines of a tempo deck, pushing the envelope and encouraging a heavy-handed approach to law enforcement. His +1 ability is particularly impressive. Whenever your creatures deal combat damage, he acquires more loyalty counters. 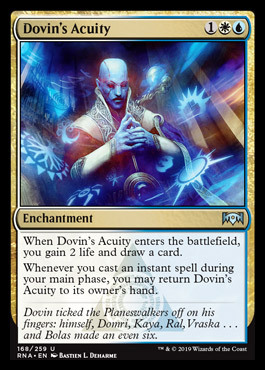 In the right deck, it’s not too far off to imagine Dovin approaching seven loyalty on the very first turn he enters play! If that’s not enough, he can also dispatch a small evasive Thopter in a pinch. His ultimate ability, as podcaster extraordinaire Reuben Bresler mentioned on a recent Magic Mics podcast, allows you to “Dovin Through Time,” selecting the best three cards out of the top ten of your library. For those paying attention, another apt comparison may be Manifold Insights, though in this case, you get to make all the important decisions, because you are Azorius, and the Azorius is both judge and jury. Dovin offers a nice direction for more aggressive blue-white decks. Like some of the planeswalker commanders from Commander 2018, his abilities might appear minor, but that could play to his advantage by discouraging aggression. Some Atraxa, Praetors’ Voice decks may elect to include the new Dovin, though they are already full to the brim with more impactful walkers. Rather, expect to see Dovin in decks such as Geist of Saint Traft, Derevi, Empyrial Tactician, Medomai the Ageless, or perhaps a Partner deck with Sidar Kondo of Jamuraa, which specialize in death-by-a-thousand-cuts strategies and would rack up Dovin’s loyalty quite handily. If your deck puts lots of evasive creatures onto the board, chances are you’ll want access to Dovin’s ultimate to help you refuel. He won’t make the cut for too many Azorius decks, but there are certainly a few he’d slot into quite comfortably. 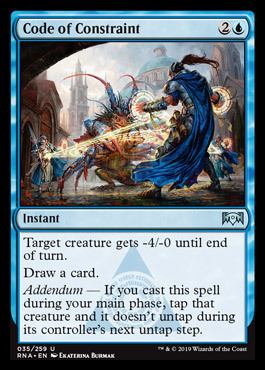 As mentioned above, Dovin has brought a more tempo-based attitude to the Azorius Senate, as perfectly illustrated by the new ability keyword, Addendum. When spells with Addendum are cast during your main phase, they provide bonus effects, and Emergency Powers is one of the most exciting. 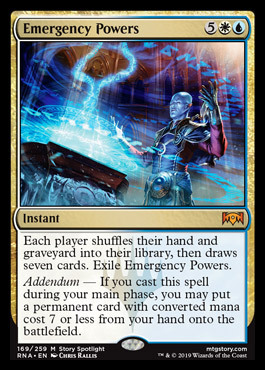 You could cast this spell on the end step directly before your turn, refilling your hand with seven fresh cards and opening up many potential paths for your next play… or you could cast it on your own turn and drop a free Myr Battlesphere directly into play. A direct comparison to Time Spiral would be off-base, but the effect is powerful regardless; no matter when you cast this spell, you’ll have the opportunity to reap its benefits before any of your opponents. 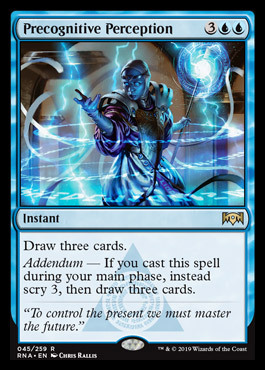 Addendum is full of fun tension; many players are reticent to cast anything until they absolutely must, but the new Azorius ability offers an incentive to avoid games of “draw-go” and instead play an active role in breaking down their opposition. I would expect to see Emergency Powers used in the hands of Ephara, God of the Polis, Kynaios and Tiro of Meletis, or the original Grand Arbiter Augustin IV, whose cost reduction ability is especially appealing. Their decks are not as spell-heavy as many of their contemporaries, so they could take advantage of the free permanent by dropping something with an immediate impact on the board, be it a Sphere of Safety or a Deadeye Navigator. WARNING. All citizens, be alerted that Lavinia of the Tenth has defected from her duties to the Senate and turned traitor against our cause, and therefore against the law itself. If you see Lavinia, Azorius Renegade, do not approach, and immediately alert the nearest lawmage. She has been known to prevent her aggressors from casting noncreature spells whose costs were greater than the number of lands they control, and has even been reported countering spells that were cast for free. It is recommended that Narset, Enlightened Master players take every precaution necessary when wandering the streets at night. We have reason to believe that Lavinia may emulate the works of one Teferi, Mage of Zhalfir, whose infamous interactions with Knowledge Pool and Eye of the Storm have resulted in citywide lockdowns. She may even be attempting to acquire an Omen Machine to further torment her victims. The perpetrator was last spotted walking through the Dream Halls, but eluded capture because she was the only person able to abuse their power. Rest assured that, upon her capture, she and her accomplices will face the same fate as Isperia, Supreme Judge, now better known as the Assassin’s Trophy. If you have any information about the whereabouts of the criminal Lavinia, please come forward; any information that leads to her capture will be handsomely rewarded with a mildly approving nod. 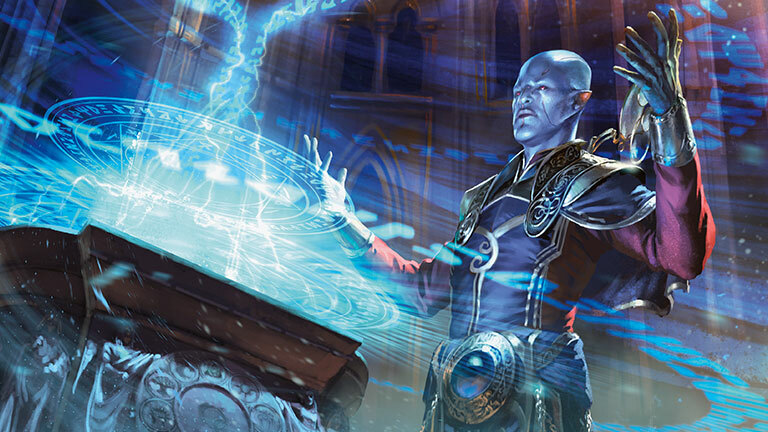 The proposed Precognitive Perception legislation, also nicknamed “Strictly Better Jace’s Ingenuity,” is a direct upgrade for decks who appreciate the use of straightforward draw spells. The bill is unfortunately unpopular among many Senate members, with the exception of Baral, Chief of Compliance and Talrand, Sky Summoner, both of whom have been known to play the aforementioned Jace’s Ingenuity at a rate of approximately 22%. Though a fine spell, the prevalence of more popular ordinances such as Stroke of Genius and Pull from Tomorrow will likely to prevent the newcomer from gaining any groundswell, as many players tend to prefer sheer card advantage over scry’s card selection. The inventor of the Detention Sphere has joined the fray, preferring to take matters – and the fate of lawbreakers – into her own hands. 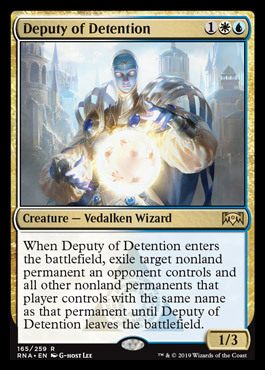 A measured inclusion for Roon of the Hidden Realm and Brago, King Eternal decks, this Deputy can keep pesky permanents out of your opponents’ reach. As a creature, there is a higher risk of vulnerability to targeted removal. Even so, most Fiend Hunter effects only target creatures, rather than any nonland permanent, which should not be discounted. The Deputy’s efficacy in dismantling token strategies should also be noted. It is recommended, when choosing your target, that you remind all players not to disrupt your schemes, lest the detained enemy be released to wreak havoc on the entire group. Our apologies; we are only discussing newly-written bills today, and this one appears to be a reprint. It has a mere 753 backers, according to the data we have confiscated from EDHREC. 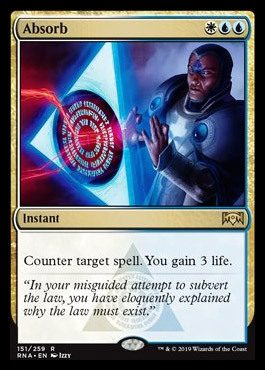 When compared to Counterspell, a significantly more popular candidate, the additional white mana is simply not worth a mere 3 life in this format; we have learned as much by ridiculing Healing Salve for decades now. Let us move on to more recent developments. Is defense the best offense, or is offense the best defense? While the philosophers were off speculating, we decided to take action and combine the two. For all our enemies who would seek to Decree of Pain or Fumigate our troops, we have prepared an answer that will keep our army unfettered as the ranks continue to grow. If our army is large enough, this tactic can also be used to permanently boost our power for an all-our strike. Though many are reticent to initiate combat in a format such as this, for fear of leaving themselves open to counterattack, the Unbreakable Formation not only guarantees that our attackers will survive combat, but also that they will be on guard to prevent retribution. A spell with this degree of flexibility is a powerful ally, and a higher density of Rootborn Defenses and other similar effects helps to make aggressive strategies more potent. Odric, Lunarch Marshal, Saskia the Unyielding and any deck with a Sunforger package would be wise to consider utilizing Unbreakable Formation, to protect their fighters or to attack without worry. Comrades such as Loyal Unicorn and Iroas, God of Victory may help supplement this ability. 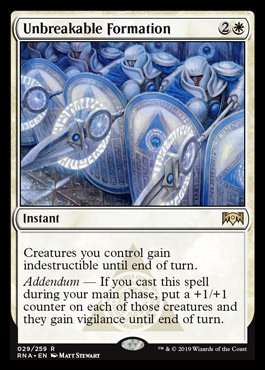 Additionally, remember your own agency when piloting white decks; creating an indestructible army before casting Wrath of God is an exceptionally rewarding battle plan. Though we appreciate all abilities that will diminish the power level of our opposition, six mana is far too great an investment for Azorius Skyguard to warrant play. Drawing a single card and gaining 2 life is a minor payoff, but when repeated, the advantage can pile up. The obvious proponent of this new bill is Brago, King Eternal. However, when questioned severely by his fellow councilors, even he had to admit that he may not actually include this card in his decks, given the glut of draw-a-card payoffs already at his disposal, particularly cheaper options such as Ichor Wellspring, or other enchantments that also keep him protected, such as Unquestioned Authority. It is possible that some enchantresses, such as Tuvasa the Sunlit, could make use of it instead, but it is not common for them to cast instants on their main phases, which means it would be difficult to continually recast this enchantment for additional value. Overall, this new bill certainly appears to have its place, but will likely not make the actual cut. For the regal among you who have ventured into Azor, the Lawbringer Sphinx tribal lists, we hope you enjoy this new addition. Perhaps not the splashiest inclusion, especially since its cost cannot be reduced by Unesh, Criosphinx Sovereign, but it can certainly do the job. In our ongoing search to hunt down criminals, we have placed the city on High Alert. Heading this investigation is none other than Arcades, the Strategist, though some specialized versions of Kynaios and Tiro of Meletis may elect to join the hunt as well. This enchantment offers a good degree of redundancy for defender decks at a comfortable rate. Arcades, whose ability does not apply to himself, is particularly happy to join in on the defensive damage. Don’t forget about this activated ability, either; you’ll now be able to hold up counterspells and hold up mana to spring one of your exhausted fighters back into action. A straightforward, welcome addition to the fold. Unfortunately, practicing the Code of Constraint means that we do not play cards like Code of Constraint. 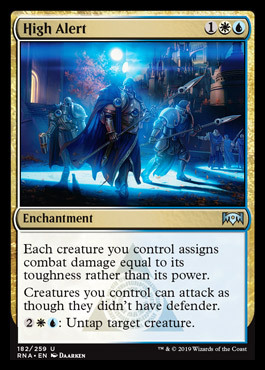 We want very much to like this card, if only because vigilance is a very underrated mechanic in multiplayer games. That said, any Aura-clad Voltron commander has better options for vigilance, bigger buffs, more impactful instant-speed interaction, and more permanent methods of acquiring lifelink. Speaking of underrated, it is the opinion of the council that Lawmage’s Binding is likely to be overlooked. It is, of course, an understated effect; why bother Arresting a creature when you could send it on a Path to Exile, turn its Swords to Plowshares, or Reality Shift it away completely? The answer is unexciting, but practical: enchantment synergy. Tuvasa the Sunlit or Estrid, the Masked could make use of on-theme instant speed interaction, given that the bulk of their deck tends to operate only at sorcery speed. There are of course better options in the lawmage’s handbook, such as Darksteel Mutation or Imprisoned in the Moon, which not only stop activated abilities but triggered abilities as well. Still, enchantments that can be cast on other players’ turns are a nice option to have access to, should the need ever arise. Pressure Point did not have enough popularity to be passed into law – only 237 backers – but it has since been rewritten, and now has many additional bonus addenda. Small utility in tapping a creature is not powerful enough on its own, but the option to also create a pair of evasive artifacts and gain life for each creature you control? That’s a nice addition. A small amount of lifegain isn’t usually very much, but a wise token player knows that gaining life for each of their creatures can provide quite a comfortable cushion, especially in the face of a Rakdos Charm. 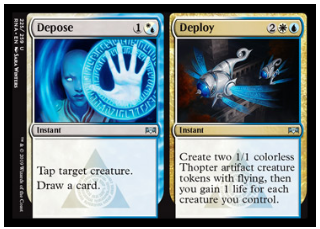 It doesn’t look like much, but Depose // Deploy is a polite surprise in the right deck. Warrant // Warden, on the other hand, is a rather impolite surprise. Whisk Away for two mana is a convenient upgrade. Though it’s not as impressive as many exile-based removal spells, don’t underestimate the ability to put a creature on top of someone’s deck. The creature may return, yes, but its owner also effectively skips a draw step, which can be quite hampering. 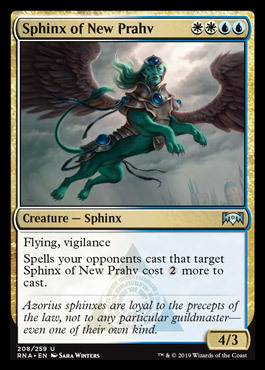 If you no longer fear aggressors, the latter half of this spell allows you to create a Serra Sphinx. It may not appear particularly impactful, but creating tokens by using spells is secretly quite abusable. Swarm Intelligence, Primal Amulet, or Will Kenrith can all turn those spells into a powerful board presence. 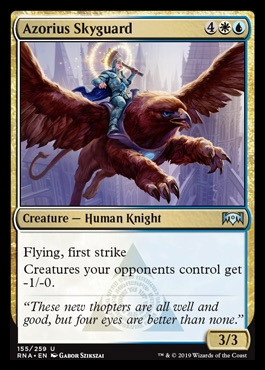 Combined with the Entrapment Maneuvers, Anointed Processions, Docent of Perfections, and even the Brudiclad, Telchor Engineers and Assemble the Legions of the world, I daresay there’s ample room for a burgeoning Azorius/Jeskai tokens deck to rise in popularity. Defense when you need it, offense when you don’t. Beware, lawbreakers. There’s a Warrant // Warden out for your arrest. Now, fellow Senators, it is your turn. Which of the legislative options detailed above would you pass into law? Do you enjoy Dovin’s new ordinances to bring the city under stricter, unbreakable control? Of course you do. We’ve made sure to Render Silent any potential objections that could get in the way of our new regime. Go forth and spread the good word that the future of Ravnica is in safe hands. And remember: the Azorius are always watching.